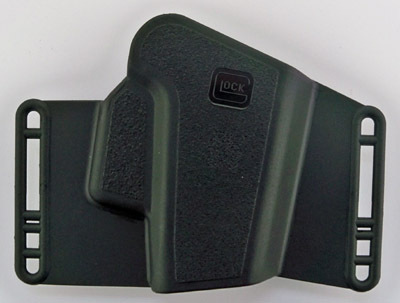 The Glock sport/combat holster for concealed carry allows rapid drawing of the pistol and is comfortable to wear because of its flat shape. Can be adapted to various belt widths. Strong black polymer.